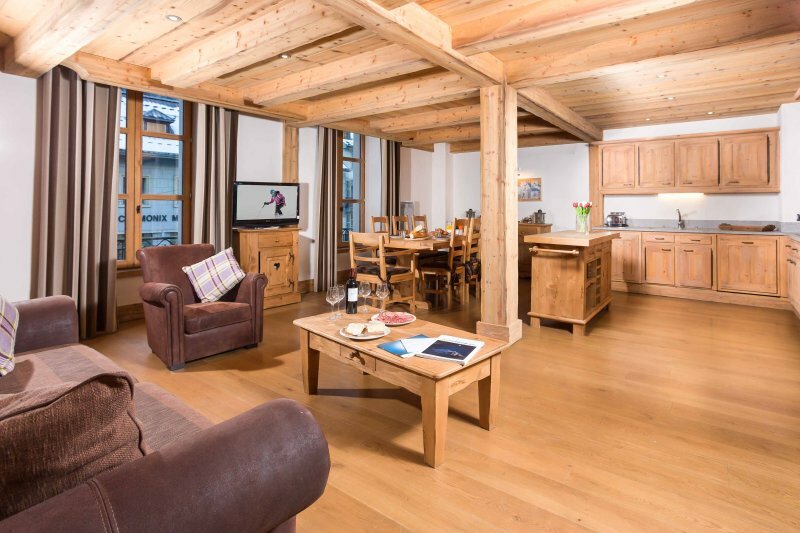 Le Kursaal apartment is an extremely well-located apartment in Chamonix town centre. Pass the entrance of the traditional wooden handicraft shop - perfect for your souvenirs! 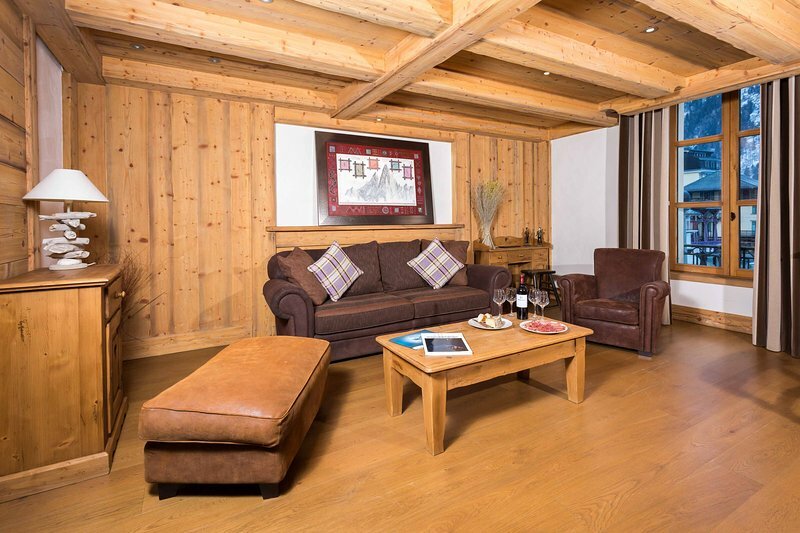 - and enter your home away from home. The living area overlooks the busy main square of Place Balmat meaning that you have restaurants and bars almost literally on your doorstep. The main bus stop is only 250m away as you leave the pedestrian high street and the nearest Super U supermarket is 150m from your front door. 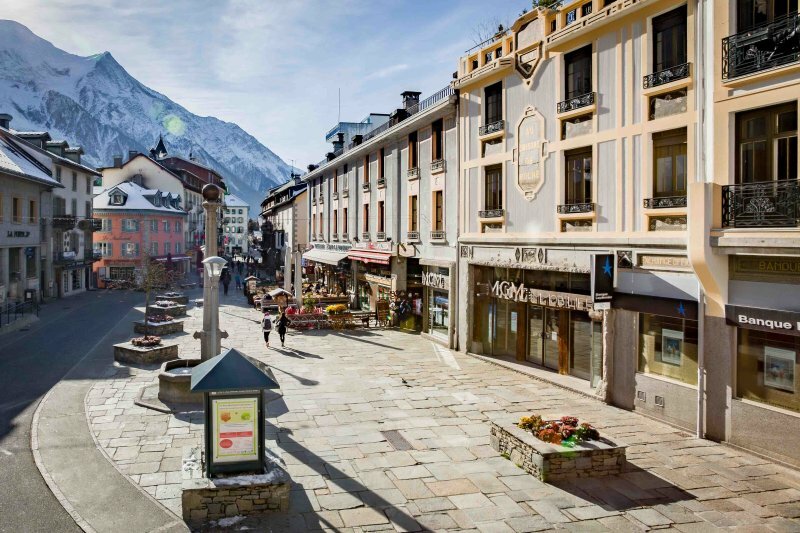 A brisk 5-minute walk will take you to the Savoy nursery ski area for access to Brevent-Flegere, while the bus gives easy access to everywhere else throughout the valley.